Fauquier Health's fresh new website at http://www.fauquierhealth.org/ is a great place to start if you are trying to research a particular medical issue or treatment. 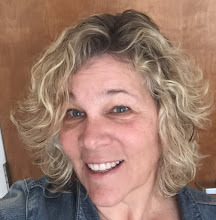 In addition to hosting information about Fauquier Health – everything from orthopedic services to Bistro specials to details about the new assisted living facility – the website also has easy-to-navigate libraries of information about specific health problems. • Search the Health Encyclopedia for details on every condition, from anemia to Zollinger-Ellison syndrome. • Look up a symptom, learn about a test, prepare for a surgery or procedure or learn what to do after being discharged. • Find self-care instructions or questions to ask your doctor, or learn about nutrition, vitamins and special diets. • Use the symptom checker where you can click on a picture of a person to point out where it hurts. • See Q&As with local physicians in their areas of expertise. If you would like to locate a physician in our area, that’s easy, too. Just click on “Find a Doctor” at the top of the home page and type in a name or a specialty. You’ll find a full biography with education, experience and contact information. 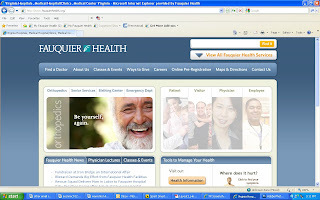 In addition to finding health information directly from http://www.fauquierhealth.org/, residents can find a host of health-focused databases through the health system’s partnership with the Fauquier County Library. The library interface can be accessed by clicking on “Health Information” in the “Tools to Manage Your Health” box. ● Type in search terms to be referred to books and periodicals on the subject you would like to learn about. ● Click on the “Browse all health resources” link to be sent to the Fauquier County Library online catalog. Check out these items with your Fauquier County Library card. ● Click on one of eight preselected topics — from joint replacement to pregnancy — to find specific resources relating to the subject. ● From the Health Information Library, visit a recommended, librarian-approved website like http://www.healthfinder.gov/, http://www.mayoclinic.com/ or http://www.medlineplus.com/. ● Find contact information on how to reach a Fauquier County librarian by phone, e-mail or in person.